Below is how I converted my 2-Player Computer Space to play almost 22,000 games. I had to split this report into a second page which explains how I built the panel and restored the game and the second page is how I setup the HyperSpin front end. HyperSpin Frontend Setup. I finally decided it was time to add a Computer Space to my collection. I grew tired of my Mame Invaders cabinet long ago. Mame themeing a cabinet also went out of fashion years ago. The sideart had been applied over old artwork which caused it to be uneven. It was an old cabinet and used a hacked keyboard instead of a key-decoder, the trackball never worked just right, so I sold it. That is when I started looking for a replacement. I did not want just any cabinet as a replacement. I wanted something special. Then I met a man wearing a dark trench coat in an underground parking lot. He said "Pssst, you looking for a Computer Space." I did not turn toward him lest anyone should notice us but glanced around casually to see if anyone was within ear shot who might overhear. I said, "I would only be interested in a two player version." There was silence. Then he said he knew "a guy" who had one and would get back to me. After a few months of waiting and negotiations, I arranged a trade with this shady character and the Computer Space Two Player version was delivered to my house under cover of night. Now I could build the ultimate Emulation machine. I was not going to plaster "MAME" all over it. That is tacky. I was going to make this a clean conversion with multiple emulators. No, I was going to make this the ULTIMATE EMULTION EXPERIENCE. This was a perfect game for conversion. The game I received had been stripped. It was only a cabinet and a control panel plate. There was no way I could ever restore it to original because the parts simply do not exist for this extra rare version. Strange as it may seem, there are some people who wanted to see this cabinet rot in a warehouse instead of be restored and converted then used in a positive way, but fortunately I am not one of those twisted souls. Also, there is not much point in restoring a Computer Space to working condition because...well, it sucked. That is why it was a marketing failure. Why restore a beautiful cabinet like this to a state where no one wants to play it more than once. This two player version also has a control panel that is just large enough for enough controls for an emulation conversion. The bonus was I did not have to modify the cabinet at all and it could be converted back if that were needed. This is how I received the cabinet. Someone hacked the control panel. Apparently the game was converted to play something other than CS because it has a hyper-space button with hand written lettering. Doesn't it look cool with the hand lettering and cracked acrylic button surround. Someone must have been proud to put this in his arcade. It had some paint scrapes on the side but they came off easily. The cigarette burns did not come out as easily. I tried some 400 grit sandpaper but it only made them slightly better. I could not remove these. I was careful to keep the original cabinet in original condition. That means no extra holes and no cutting or anything that could mess it up. Every change I made was a bolt on. First I restored the cabinet I had, then I bolted in my bezel/monitor and new panel. I used photoshop to layout my panel and plan the graphics. I scanned the original panel for sizing and used it as a guide to layout my buttons and make sure everything would fit. Trackballs from Happ were way too expensive. They actually wanted to charge $50 for a 6ft USB cable alone. I can get cables on eBay for two bucks shipped. I bought my first trackball on eBay through paradisearcadeshop.com but then I found another one that was more heavy duty called the U-Trak from ulitmarc.com which is small and mounts easily without the big ugly square mounting cover usually used on trackballs. I will save the paradisearcadeshop.com unit for another project. The Ultimarc supports USB directly and has a nice white pearlescent ball which I can backlight. Unfortunately it is also a little too big so I cannot install it to my panel then install my panel. I will have to install my panel, then install the trackball from underneath. The trackball is also designed for mounting to a 3/4 inch plywood panel and I have a 1/8 aluminum. To solve these problems, I created a mounting plate which acts as a spacer and will also make it easier to mount the trackball after the control panel is installed because I have bigger holes. I did not want arcade-looking buttons. This was from the 70's, not the 80's and I did not want it to look modern or from the 80's. That meant the regular round arcade buttons were out. Computer Space was the first video game and it did not have any arcade buttons that we would consider standard today so I had to find some buttons that did not look "arcadey". The buttons I picked were for gambling machines. They have a red or blue illuminated surround and an LED lamp in them. These kinds of buttons are usually VERY expensive but Happ was closing out some of these for 50 cents each! The catch was they did not have the clear covers. Since the buttons I wanted had no name plates, I found another 50 cent close-out button did so I bought a big batch of each. I took the clear cover and panel off the button I did not want and put it on the button I did want to use(which did not come with these). I used some 400 grit sandpaper and wet sanded the inserts to get the HOLD/CANCEL off. I printed out new legends on a transparency and cut them to fit. I could have used dry transfers but this was easy and looked the same plus I can easily change them if I ever want to. Here I am testing my button lamp with a power supply that has variable voltage out. Here is my prototype panel. If you ever watch New Yankee Workshop then you know Norm always builds a prototype before doing the show. There is a good reason for doing this. You can screw up the prototype and no one knows. I made my prototype out of 1/8 plywood. I decided to move things around a little and I also verified my trackball would fit before cutting my aluminum panel. It was a lot easier and faster working with a wooden prototype. The original CS2P joysticks had buttons on top and were industrial in appearance. I found some similar ones on HAPP but then found them for $10 less on ebay. They look identical to the originals except the top is stepped down so I could not add white lettering for Fire. I bought the bezel for my trackball. I should have instead spent the money on the correct sized circular saw bit and just cut a hole and mounted it without the bezel but I had never mounted one like this before so I did not know that was a better option. The joysticks and trackball are slightly tapered to give a firm fit. You should cut the holes, then chamfer the back side of the holes so the trackball and joysticks fit snugly without a gap(which you have if you don't trim the hole a little). This creates a perfect fit. I had already cut my trackball hole with a jig saw so I will use the bezel anyway. During assembly, I thought I would buy a simple LED flasher like the one's used on police cars to add some bling to my cabinet. In my research I found the LedWiz board and LedBlinky software. That is what I really wanted. This board is designed for arcade cabinets. The LedBlinky software also works with the board and allows you to setup your panel and create any flash sequence you want. I tried it and found that I liked the default flash sequences just fine. I use my sequence on start-up and then the included sequences after that. It works great. I did not even have to program my own sequence but I only realized that after I did it. I wanted a keyboard but did not want a cable hanging out the back. 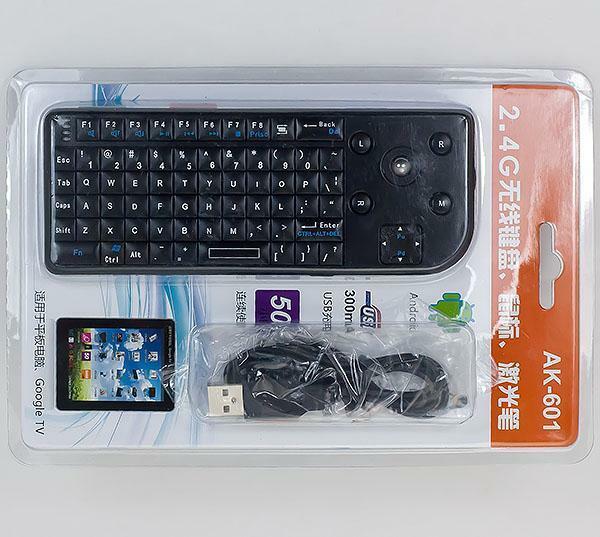 I went to ebay and ordered a mini wireless 2.4ghz keyboard so I can easily use keyboard with no cables. Also ck flexible silicone roll up keyboards, they can easily tuck through small spaces and are very cheap on ebay. I can store it in the back of the cabinet. This is my pause button mounted in the coin return. I did not want to modify the cabinet so I made a wood plug and strap. Pressure does not push it out and it works well. My pause button back side. This is where I added my hidden button in the coin return slot which is the Pause(P) button. I used a wood plug cut to fit in the coin return and a metal strap screwed into the plug. This fit well enough that I did not have to alter the coin return at all. This could have been a dedicated panel shift button too. I don't think the ultimarc feature of a shared shift with player1 is useful because it causes problems with many emulators. If you press 1 as a shift, you still press 1 which starts a game or selects or pauses then your next button does not work the way you want. I think a better option is to setup a dedicated button as the shift key which is not normally used by any emulator. I could have used my Pause button in this way but I designed my panel so I should not need to shift any keys.. Here are some things I have learned after selling some of my Mamed' cabinets. Mame uses left-ctrl and Alt as the fire buttons. When someone who knows nothing about arcade games or Mame tries to play the game, the first thing they do is pound all the keys and move the joystick like a monkey. Obviously this triggers unwanted Windows events including rotating the screen when ctrl-alt-up are pressed at the same time. If you are trying to sell a game and this happens when the potential buyer is "testing" it, well you can imagine how embarrassing it is to explain why a 180 degree rotated screen is "normal". So, my advice is to immediately change the Mame default keys for ctrl and alt to some other normal keys. I actually changed to Z and X which are common for console emulators and used a macro in my key decoder so they are Z,L-ctrl and X,Alt and also changed my coin and play buttons to 5,; and 1,L so my control panel works with many emulators that require ; or L as well as mame games now, even if some emulators do not let you reassign keys. I later changed my key layout to use macros so fire is now Z and L-Ctrl. By using a macro, you avoid the problems of holding keys because the keys are pressed and released. It does cause a problem with games that let you hold down the button for continuous fire though. Also, while it seems obvious to any arcade player to select the game you want to play by pressing Enter or Select, then coin up and select 1 or 2 players, this is beyond the capabilities of the average person. I often wonder how some people were able to play those complicated coin-op machines at all when I watch them struggle trying to figure out how to play Mame. No matter how many times you explain it, they want to press coin or player 1 without selecting the game, or they select the game then stare blankly at the screen while pressing p1 and wondering why they cannot play. And when they see an OK screen, it is too much for anyone to actually read it and follow the instructions so they turn to you and assume something is broken. Put an instruction card that has the actual procedure on the game. Take an original instruction card or a similar one to your game theme, change the wording to match how to actually play the game and explain what to do with an OK screen. It will really help when demonstrating the game to potential buyers or when friends who are not into arcade games try to play. I used the HyperSpin front end. It is a big advancement over older front ends like EmuLoader which I used previously. There are also other good similar emu front ends out there but I think this is the top of the heap. This one lets me pick which emulator system to play, then which game and it does not have any odd settings to confuse people or jump around if you hit the 2nd player joystick etc. I changed the Genre and Favorites default key from G and L to 1 and 2 for player 1 and 2 since I already had those buttons on my control panel and they are only used in the emulation of a game otherwise so they were good candidates to have double duty. You can find out more about my Hyperspin setup and see how I got 22,000 games including over 20 console systems in my cabinet on the HyperSpin Setup Page. I have used the ipac key decoder in past cabinets. My first few cabinets I hacked a keyboard. I don't recommend this because it is tedious and unreliable. For my more recent projects the Ipac worked well so I ordered one for this cabinet assuming it would be a quick and easy install. It seems that I just don't learn from my mistakes. I think every time I have installed an Ipac I had a problem. And that problem was always traced to me somehow having an old version of the programming software. I could have sworn I downloaded the current version when I ordered the unit but somehow the software I had was an old version which did not work on Win7. Downloading the current version fixed my problems(most of them). I wanted to make sure my key decoder defaulted to my setup without relying on a download from the computer. This was not necessary but just something I wanted. I looked through the documentation and found there is another way to program the EEPROM on the board directly without software. I then programmed the board by downloading my setup, then using the external keyboard went into this special mode(see Ultimarc for details on ctrl-alt-P) and selected E to save the configuration to eeprom. Now we get to the bling. Groovygamegear makes a computer board called LedWiz which controls LED's in your control panel. Some front end programs also support this device or they support another piece of software, LedBlinky which in turn supports the LedWiz hardware. I went with both the LedWiz and LedBlinky. The LedBlinky is nicely setup and relatively easy to use. If you buy your own LED's you need 3.2v LED RGB 20ma, but you are feeding 5v so you need resistors too. Eg. you buy an orange LED, 3.2V, 20mA. You power it from the 5V line off a computer molex connector or from the LEDWiz. 5V - 3.2V = 1.8V that you want the resistor to drop. V=IR or volts equals current times resistance. Current in series is the same so you want to limit the current through the resistor also to 20mA (0.02A). R=V/I so 1.8/.02 = 90ohm resistor. You will see this same calculation on the LedWiz documentation too. I got a pack of 47 ohm resistors on ebay and used two in series which is closer to 90 ohms than a 100 ohm resistor. I used the original panel(now cleaned) as a template to cut my new panel out of 1/8 inch aluminum plate(bought from ebay). I then drilled holes using hole saws. My final panel after cleaning and sanding. I sanded it with 200, then 400, then 600 grit in one direction to get a smooth and even surface with the grain of the metal going in one direction. This is the kit I used to make my custom dry transfers with a laser printer. I wanted my control to look as factory-made as possible. I wanted it to look like it came from Nutting and Associates too. Silkscreening was not practical for this project. Stickers were out of the question. I looked at dry transfers and was planning to buy some generics and use them to label my buttons. That would be Ok. Then I found out there is a kit you can buy that lets you make custom dry transfer graphics using a laser printer. That was the solution I really wanted. Their kit works very well but it may take a couple of tries for some graphics. The small detail including the period in the bottom text came out crisp and clear. but you can buy a kit to make your own for the price of getting one 8.5x11 sheet of paper from this company. It is also something you will find useful for other restorations. There are other products by Bell Decal or SuperCal Decal for inkjets which I have not tried. Also 87thscale.info at http://www.87thscale.info/make_your_own_decals.htm but some have reported you see the edges of the paper with this system. This method can be used to restore metal panels like Gorf or Space Invaders. You would have to do it in sections because the print size is limited to 8x10 or so. You can restore an existing panel or cut a new panel from an aluminum blank. My first batch went almost perfectly. In the water bath, do not pull the decal away, wait until it lets go on its own. Also, when it releases, do not handle or touch it unnecessarily. Just barely pat it with a towel to dry it and let it air dry after that otherwise you can tear off the image. I tore some of my images and had to make a second batch. My second batch did not go as smoothly as the first. My Clear Coat carrier did not stick to the paper. Actually, I think it stuck, but in the cleaning step I used alcohol to clean it and that stripped off the adhesive. The next time I didn't clean the image with alcohol, just the mylar before applying it. That worked better. The decal company has a video on the website. It is an abbreviated version so read through their instructions too. Also, processing a large sheet and then cutting just before the water bath is a bad idea. The mylar comes off too easily. Cut up your design first, then laminate the mylar in small pieces to it(cut them one on top of the other for a perfect fit), then laminate the pieces on a big sheet carrier all at once. They will stick together better for the water bath. It seems to me that the last step holds the mylar on with static cling more than adhesive anyway. I do not recommend buying the $130 laminator from the website either. I picked up a new GBC 9 inch laminator on eBay for $30. The company website says the transfers are "durable" but you can actually scrape them off with your thumbnail. This is actually good because if you mess up, it is easy to take it off. I sprayed my panel with clear glossy polyurethane before applying them(no fingerprints on the aluminum to clean off) then again after the transfers were applied I gave it three more coats to seal them and protect them. The spray adhesive was clear but it still is visible especially when applying to acrylic. I used some rubbing alcohol to clean off the excess adhesive and it came off easily. I was very pleased with the end result of these transfers. I used a laminator to apply a mild adhesive to the graphics and then apply a carrier clear sheet which removes the graphics from the paper. Here is the final print with my graphics for the new control panel. Trim the graphics, then put in water until the graphic naturally releases from the paper. Carefully apply the graphic to the panel. This is the delicate stage. Here I have applied the Thrust graphic and am peeling off the clear carrier. I did not have enough room to use all arrows but I wanted to keep the Thrust as homage to the original panel. Here is my panel with all graphics applied next to my printed layout which I used for placement and testing. A close up of the panel. Another close up showing how blurry my camera can get. I bought the Ultimarc spinner. It is a great spinner too. I also bought one of their knobs. The knob is nice but I decided it did not go with my panel. I remembered I had a collection of knobs so I pulled them out and picked one that would fit the panel space. It has an old look to it which I like better and I think it goes with the panel better than the more modern one from Ultimarc. Close up of my new button. I like the aging, it looks original. I threw the original panel on the game to see what it looked like and compare to the final panel I was finishing up. I wanted to keep the look of the original one player computer space so I made three cutouts in my panel which will be illuminated. Player 1/2 and the Computer Space mini marquee. I looked up on the web how to cut square holes, hoping for a simple way and found many people saying how difficult it was to cut in thin metal. My plate was only 1/8 inch but it was quite easy and a little file touch up made it square. To hold the LED lamps I made cardboard templates. I used large 10mm warm LED's for some lights because I thought they looked more like incandescent lamps which were on the original game. Here is my aluminum LED holder that I made from the cardboard template. My final populated panel. I used joysticks that were similar to the original 2 player CS sticks. When I bought my trackball from Ultimarc I also bought their LED illuminator board thinking I would hook it to a generic flasher. I would not recommend the ultimarc led light for the trackball. It is nothing more than some multi color LED's on a board with resistors. You could buy RGB LED's for a few dollars on eBay and wire them up yourself. Just run them through a piece of wood or metal with some 1/4 inch holes and glue them in place, then screw it to the bottom of the panel with one screw or even velcro it. Bang! you saved yourself thirty bucks. Use a LEDWiz to control the lights for more effect or just hook up a flasher to some lamps/colors and let others stay on. I used the LedWiz on mine. This is the back of the panel before wiring. You can see where the Ultimarc LED for the trackball was mounted. No sooner than I had it mounted, it broke. The piece has small cut outs which leaves hair thin connectors to the main board. I had to epoxy it to a piece of acrylic to hold it together. Not the best design and not worth $30. Close up of my panel. Close up of the other side. The RGB LED for $29 from Ultimarc was not worth the money. You can buy rgb LED's or individual color LED's on ebay, ten for $6 with shipping and 47 ohm resistors(use two for each LED) for less, so you can build the same device for under $10 using a pc board scrap or just a piece of wood with some holes drilled in it and some epoxy to hold everything together. I decided to epoxy the LED unit from Ultimarc to a piece of wood and use velcro to secure it to the trackball. This worked much better and will also be easier for me to install from the back side since I have to install my trackball after my panel is in. Here is the wired panel. Everything is carefully run and wire tie bundled. On the left side I mounted a block to hold my Ipac and LedWiz controllers. Then I hooked the panel up to my computer to test it and setup the emulators. My Ultimarc AimTrak gun went together more easily than I expected but it did not work. An email to Andy of Ultimarc came back with what I suspected, the camera unit in the gun was bad so he sent a replacement. I assembled my AimTrak light gun and tested it. After three days I gave up. It works OK in windows as a mouse pointer but I was never able to make it work in ANY game. I tried in DVD games and could move the pointer but it never registered when I pulled the trigger. I checked the settings and trigger was set as left mouse button. I could use the real mouse and it worked but the light gun never worked so I could never shoot anything. I was able to use the trigger to calibrate and can use it to select in Windows so the trigger was working, just not in any games. I tried the mame setup/configuration guide and I could move the cursor, but again no shooting. I realized the player button 1 needed to be set to a key OR mouse B0 so I set that and could then use my mouse to play gun games, but still not the light gun. During my testing I encountered many problems. I had great difficulty getting it to register the bottom middle screen calibration point even when I moved the gun in all positions up and down, it would not register. I tried to manually change the calibration settings and when I changed them, the software changed them back to the wrong values. What is the point of letting the user change the settings if they are going to be reset to wrong values? I also cannot use the screen that lets me see the the camera view of the IR position and the position numbers at the same time. That would have helped during calibration too so I would know when I was off the screen. Then during testing I received an error saying my firmware was out of date and I had to update to 1.3 but just a minute ago I had 1.7 instaled. Then I see my version is shown as version 1.-15 so how did I get a negative firmware version? I also see my settings have randomly changed and the buttons are messed up seriously. I reboot and the problem is fixed. I try a couple of more hours but can not get it to work with any dvd game or with any mame gun game. I gave up. I will have to find another light gun system. Some other options I looked at were the Gyration mouse which is a mouse pointer that uses a gyroscopic sensor. Unfortunately it seems this works too much like a mouse. There is no calibration, only relative movement depending on the last position so you have to move it and watch the cross hairs, you cannot point where you want it to shoot. Their system looks exactly like the Ultimarc system.That is because it IS exactly like the Ultimarc system except they offer different color guns and charge $175 for a gun+led module while from Ultimarc it is only $88 for a black gun and module. Apparently other people have gotten these to work, but I never could. I had already used an ActLabs light gun in another project but I needed something that would work with an LCD not a CRT. I also have the topgun light gun but it requires these huge ugly led sticks which I could not possibly use anyway in my cabinet. I needed a bezel. I could have made a cheesy one out of cardboard but I wanted this project to be extra nice so I decided to make one from fiberglass. If you want to know how to do this, go to youtube.com and look for videos on how to make fiberglass speaker boxes. The techniques are exactly the same. Make sure you use the fleece stretchable material and not the regular fiberglass mat from the home supply stores(it warps). You want to use the stretchable material like is used for auto speakers. Do not try to use the random strand material because it will pull apart and not stretch. It is good for adding rigidity on the outside though. Don't use the fiberglass matt material that has a regular weave either. It will stretch but then it deforms and is wavy. You want a material that will stretch and stay even and flat or smooth. You do not have to use fiberglass either, any open porous material will work as long as it stretches the way you want. Then use the other materials I said not to use as structural support on the side no one sees. After you brush on the fiberglass resin and it dries, sand with a grinder using sanding disk and wear long sleeves or the fiberglass will be uncomfortable when it gets on your skin. Also wear eye protection and a mask. Not one of those cheap disposable masks, get a good mask. This is the wood frame I built to form my bezel. I have applied my fiberglass material. I used hot glue to secure it because my staple gun was not working. Hot glue worked pretty well. Here I have applied my fiberglass resin. The next step is to sand it down then use kitty hair and/or body filler to smooth it out and then more sanding. Some bondo and a lot of sanding smoothed it out. The extra fiberglass on the outside gave it some rigidity too. Wear eye protection goggles, not just glasses, and especially an air filter(not the cheap ones but a good one) when sanding bondo/fiberglas this. It produces a LOT of dust. Also wear long sleeves and gloves because the fiberglass will make you itch. I sprayed with primer to make it easier to see spots that needed some final sanding. I also cut out a chunk of the bottom so I could inset my instruction card and illuminate it. I used clear acrylic as the backing and taped off the window I wanted light to shine through before finishing my painting. I painted it with black primer then a coat of Stone Textured spray. This gave a rough surface which was similar to the textured surface on old bezels and it also covered up any remaining imperfections. Here is the textured spray and the result after I sprayed the textured covering with flat black. Here you can see the final textured surface and the LED cutout for my AimTrak light gun. Here is the final instruction card. I used warm LED lamps to simulate incandescent lamps. These do not flash because that would be distracting. I liked the hot spots, it looks like old EM games. My final control panel installed. My final completely assembled machine. I had some cigarette burns which I could not get out. I decided to make a topper for the game. The sides are the front from the 2-player flyer and the back image from the 1-player flyer. Here you see how my bezel framed the larger monitor. I used some speakers from a Virtua Cop II cabinet that was scrapped. I did not want to cut any holes in the cabinet so I put them in front of the existing hole but pointed them forward and turned up the volume some. They can be heard easily through the front plexi. The sub woofer is mounted to the bottom of the cabinet for good bass. My monitor was supported and mounted to the bezel so it will not move. The speakers I bought came with a remote volume control which is very handy. I just replaced the remote speakers with the larger ones and mounted them to a wooden plate. Comparing the original panel logo and my reproduction dry transfer logo. Comparing the original panel and my panel. I wanted to keep the look and feel of the original. I did not want it to look too new or too modern. You can't see it but the light-up cut-outs have artificial aging on them by using parchment paper and some glue to make them look old, from the 1970's. Another sleek view of this feminine machine. Great project and a great outcome. See the HyperSpin Frontend Setup.